« Killer Video Library Upgrades! The trend is your friend if you are into web design or web programming … going forward, there will be a lot more jobs than web professionals. There will be more new jobs created, than new web professionals with each passing year. Those who are smart enough to become web designers and web programmers, will see their pay go up as demand goes up. Â Why is the demand increasing so much? Simple really, everything is going to the Web. Every school, every small business, every large business … it is all about the Web. We’ve actually seen huge changes like this in our recent past. For example, remember Blockbuster? DVD rental was huge in the 80’s and 90’s …. now it is pretty much done. Everyone is streaming movies and TV now. There are many more technology trends taking shape now and a lot of it is Web centric and that means increasing demand for web designers and programmers. Just so you know, you are getting 30hrs+ of training PER PACKAGE and the sources files are also included for each of the web projects that you build. What are you building? Â What makes our course packages different … why learn from KillerSites.com? Practical real-world training that will land you a job! Easy to understand nerd-free training, from one of the most established tech trainers in the world – over 15yrs experience! Support, support, support! You can actually talk to people who can help you if you run into problems! 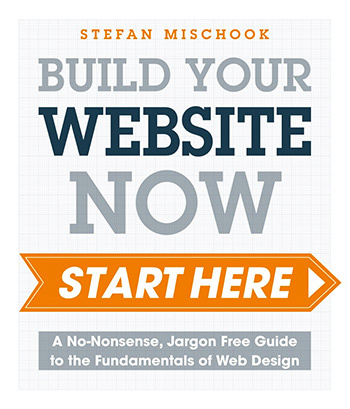 This post was written by: Stefan Mischook and posted on Wednesday, March 6th, 2013 at 9:02 am.